Huawei Magna H871G is a 4-inch entry-level smartphone that comes running Android 4.3 Jelly Bean. It's powered by 1.2GHz dual-core processor. It's a GSM phone which is activated on the AT&T network. So, before ordering, be sure to check that you have AT&T coverage in your area. The Huawei Magna is a very compact phone that is designed to keep you connected. Here is my hands-on review. The Huawei Magna H871G is a prepaid smartphone that you can order from Straight Talk. In the box are the Huawei Magna, battery, wall adapter, standard USB cable, activation card, service guide and quick user guide. After inserting the battery, the initial setup process is a quick one, in under 10 minutes, the phone is ready to use. The Huawei Magna H871G is a 4-inch gadget with a typical entry-level phone design. The headphone jack is on the top edge. On the left edge, we have the USB port. The right edge holds the power button as well as the volume rockers. Just below the display, we have three navigation buttons: the back button on the left, the home button at the center, and the menu button on the right. The back cover has a nice texture that feels good in the palm. It has the back camera and the speaker on it. The back cover is also removable to reveal the battery, SIM and microSD slots. The Huawei Magna H871G comes with a 5MP back camera which performs quite well, hence covering for the missing front camera. I found it to perform well in bright spots and well-lit rooms. A LED flash is not available on the phone, so dark environments is a no-go. It does produce good photos. It includes some great features which I found interesting; it supports a variety of capture modes such as beauty, smile, panoramic, geotagging, and white balance. 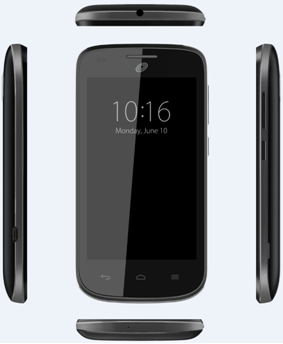 The phone comes with a 4-inch capacitive display. I didn't find any problem with brightness. While indoors, I enjoy browsing through my gallery, the photos are clear enough. The screen dims in bright sunlight, but that's expected on low-end phones. Videos also show up bright enough when you hold the phone in landscape. However, the characters may be a bit grizzled when you view from angles. The screen responds to touch quite well, and I did not find any issues with it. Battery life on the Huawei Magna H871G is quite impressive. It has a removable Lithium-Polymer battery with a capacity of 1950mAh which doesn't give up easily. It gives you a talk time of 10 hours and a Standby time of 6 days. With this rating, you are looking at a full working day of normal usage without having to recharge. However, with continuous video streaming or heavy data usage like live Google Map navigation, you may have to recharge after 5hours of usage. The Huawei Magna H871G gives you 4GB of internal storage. For a device you get for free, I think this is good bargain. Additionally, it has support for an external microSD of up to 32GB. This is an incredible storage capacity that can hold hundreds of songs and apps. For a device that comes on a free offer from Straight Talk, I found the performance to be more than I expected. 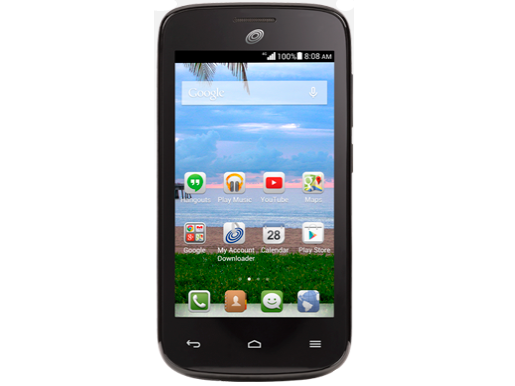 The gadget ships with Android 4.3 Jelly Bean which brings great user interface features to this entry-level device. The Huawei Magna is powered by a 1.2GHz dual-core processor paired with 1GB of RAM. I found the phone to handle all the basic operations well. The Huawei Magna H871G is a 4G enabled phone which I found to be the greatest feature. Data transfer is super-fast. Video streaming on YouTube responds well with no noticeable buffering. Google Maps also loads faster and is very responsive to zooming in and out on locations. Even with the limited resources, the phone can handle a few games if you have cleared the background running apps. The phone comes with several preinstalled apps ready to use, and also it has Google Play Store, which gives you access to unlimited apps both free and paid. Huawei Magna H871G comes with several connectivity features. It's Wi-Fi enabled so you can connect to Wi-Fi hotspots. Also, it has Advanced GPS capability for live Google Maps navigation and other locations services. Bluetooth 4.0 capability for easy sharing of files between devices. Accelerometer sensor is also available on the device giving one a great gaming experience in case you would like to tilt the phone to control characters. With this performance and features, I think the Huawei Magna is a great phone, and particularly, it comes at a great bargain. Battery capacity: 1950mAh. Talk up to 10 hours. Standby time up to 6 days. Dimensions: 4.96'' x 2.51'' x 0.43'' inches.